Did you know fall is the time to manage your spring weeds? With the weather finally cooling down and a bit of rainfall making its way back into the forecast, it’s time to start thinking about spring weeds. Why would we want you to think about spring weeds now when spring is many months away? If you hate the way spring weeds can take over your lawn and garden then the best thing you can do is be proactive about them now. Is your lawn maintained organically? A few weeds are inevitable. A total monoculture (one turf grass, no weeds) isn’t a natural condition and one should expect some weeds in a healthy organic lawn. Creating a lawn without a single weed typically takes more chemicals than you may be comfortable using. The goal in a sustainably organic lawn care plan is to grow a lawn that is strong and vigorous and able to better out-compete weeds over time. The right watering regimen, fertilization schedule and good mowing techniques go a long way to keeping weeds at bay naturally. Feed the soil now. Healthy lawns start with healthy soil. By increasing the bio-activity in your soil, you are ensuring your plants receive more of the nutrients they need. Plus, rich, fertile soil has a lighter texture to allow roots to grow deep and strong. When roots are strong, your lawn is more vigorous and better able to out compete weeds. You could feed the soil yourself, or let us save you the time with our Soil Building Program. Reduce Irrigation in fall and winter. Overwatering your lawn through the cooler months when lawn growth is slowing down can lead to fungal diseases and a bounty of spring weeds. Spring weeds are germinating now and will continue growing through the winter. Watering your lawn just a few times a month through the cooler months is sufficient to keep lawns healthy. By November, we recommend that you shut off your automated sprinkler program and only water manually when needed. Get more winter watering TIPS. Mow on schedule. 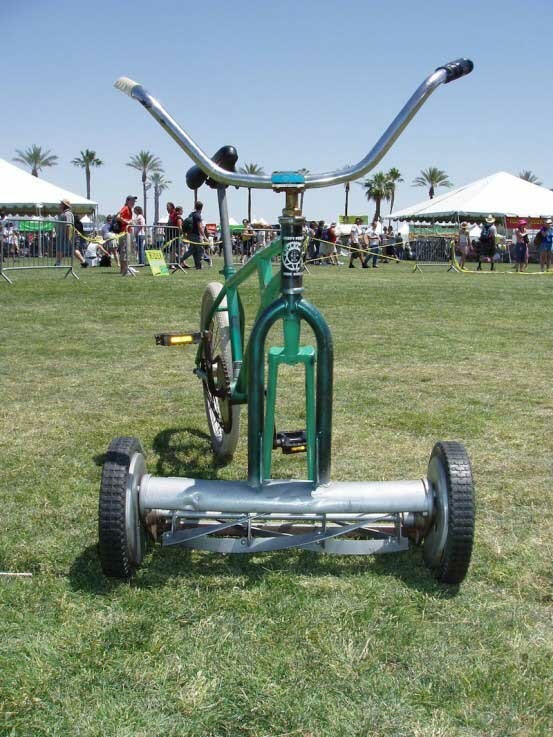 Who knew your mower could also help you reduce weeds in your lawn? Once the weather begins to slightly warm up in spring, weeds will begin to grow. When weeds flower, they produce more seeds. The goal is to mow off the weed’s flower prior to it reseeding itself. If you’ve been having trouble with spring weeds, start your mowing routine earlier in the season to keep the weeds cut down. Mowing earlier in spring can also help more sunlight reach the soil, causing your warm season lawn to begin growing a little earlier. Early to mid-March is a good rule of thumb to start up those lawn mowers. Overall lawn health leads to a reduced weeds. Paying attention to the health of your landscape will take you far when it comes to reducing weeds not only in spring, but in summer, fall and winter, too. A lush, thick lawn will snuff out weeds and also have a better time resisting pests and disease. If you are using pre-emergents (there are organic and chemical options), then be sure they are applied at the right time in fall. Too early or too late and they won’t have the desired effect. If you’re a Soil Building Program Customer we can provide recommendations.